I am always on the go and need away to charge my phone and I don't always have a place to plug it in. 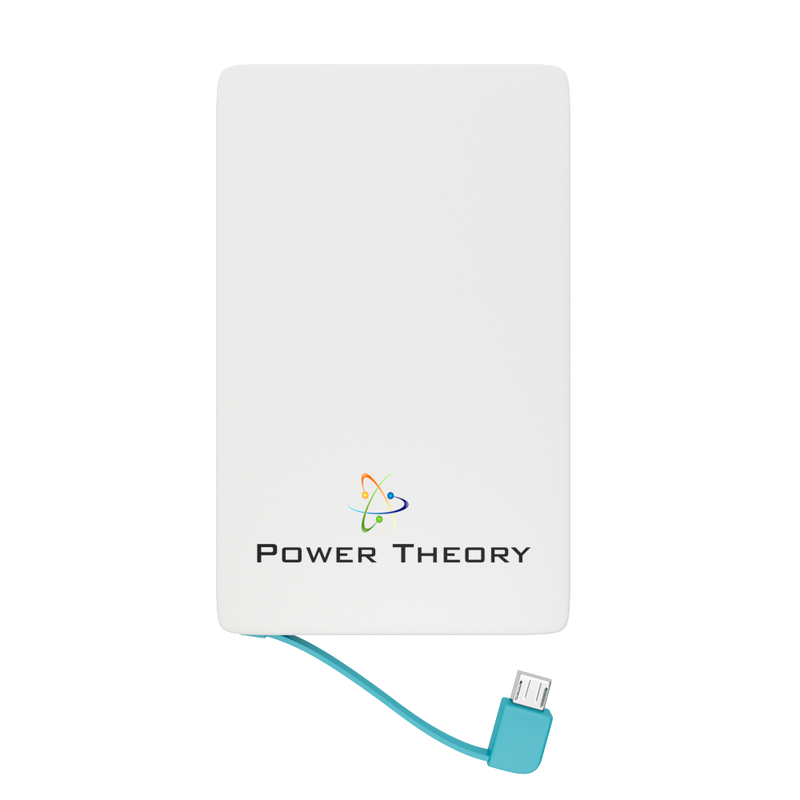 Power Theory Credit Card-Sized External Battery Charger makes charging fast and easy. It is so small and portable that it fits in your pocket and takes up little room. It's small but boy is it a powerhouse. The charging time is 3-4 hours and the weight of the device is only 2.1 oz. I love the fact that the charger has it's very own plug so you don't have to carry anything extra around and also it plugs back into the device so it is out of the way. This Credit Card-Sized External Battery Charger is perfect in every way, small, compact, portable, quick and fast. It's well built and made to last! It takes less then 30 minutes to charge my Galaxy s3. I honestly could not be able to live without this now. 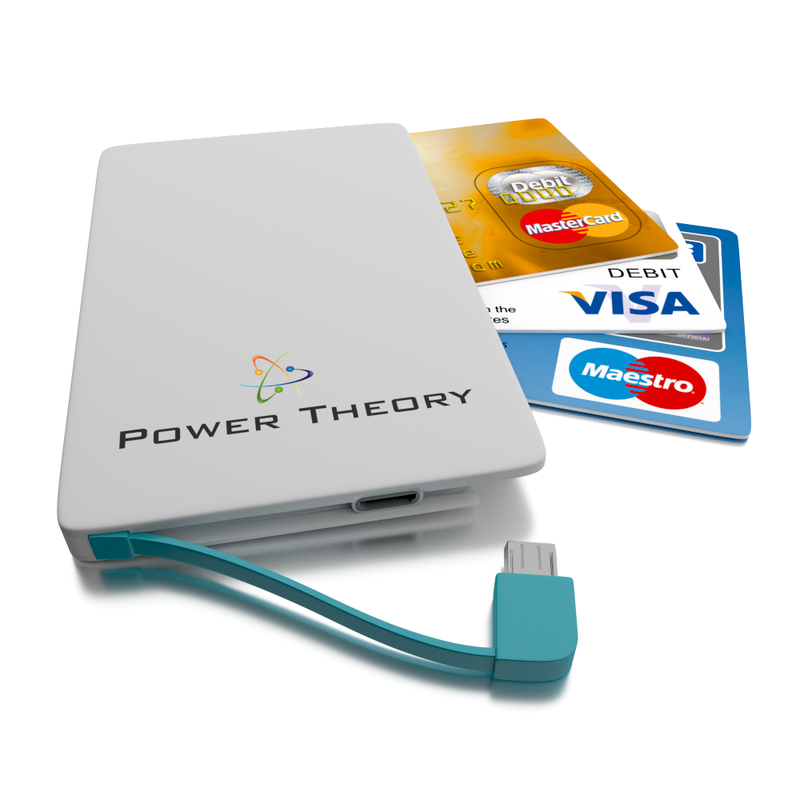 Power Theory Credit Card-Sized External Battery Charger makes it easy to stay charge and stay connected! those days where you need a little extra power. NO MORE FUSSING AROUND IN YOUR BAG FOR ANNOYING CHARGING CABLES. A portable battery charger is not really portable if you are forced to carry charging cables that easily break or tangle. Our smartly designed external power bank has a built-in Micro USB and Apple Lightning Cable meaning you have everything need to charge your phone when you need it the most. 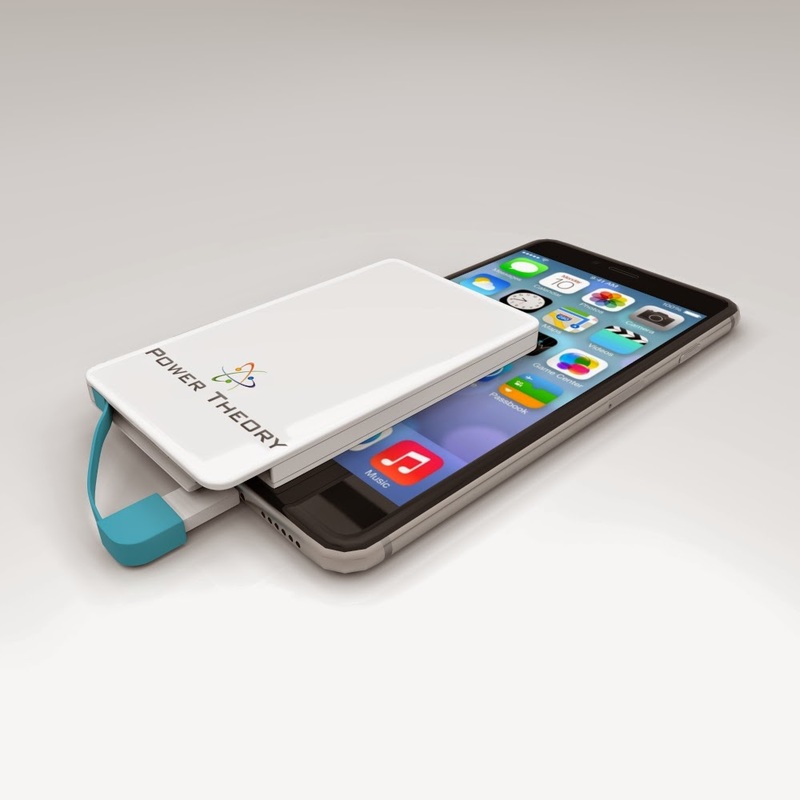 battery cell (2500 mAh) means that you can depend on the PowerCard to fully charge almost all smartphones. HONEST TRUTH ABOUT BATTERY CAPACITY. We believe in our product and also in educating you the customer. We use a lithium polymer battery that is safer and performs better compared to lithium ion (li-ion) batteries found in slightly cheaper lipstick style chargers. When you transfer this power from the charger to the smartphone a certain amount of energy is lost in the process. Most power banks (including ours) perform at around 60%-70% of their rated capacity. This means our device can still mostly charge even the most demanding iPhone or Android phone.The PowerCard works great for iPhone 6 5S 5C 5, iPad Air Mini, Samsung Galaxy S5 S4 S3, Note 4 3, HTC One M8 Desire, Google Nexus 5 6, LG G3, Motorola Moto G X, Sony, Huawei and other Smartphones and Tablets that can be charged via MicroUSB. Note: It does not work with older Apple devices like the iPhone that use the old bigger Apple connector. People love their Smartphones - until they run out of power. Usually at the worst possible time: Traveling. Outdoors. At a party. At a meeting. During a blackout. Or having car trouble. 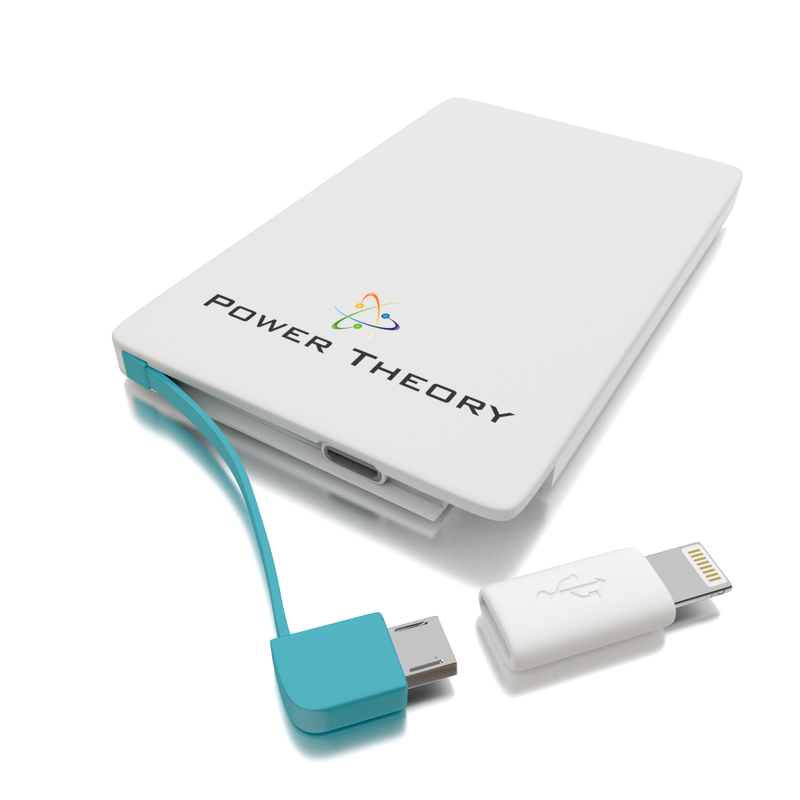 Power Theory is a small business founded by tech enthusiasts who are 100% committed to customer satisfaction. Give us a try and we will make it worth your investment! If you have a an issue with one of our products and we will fix it or 100% money back.